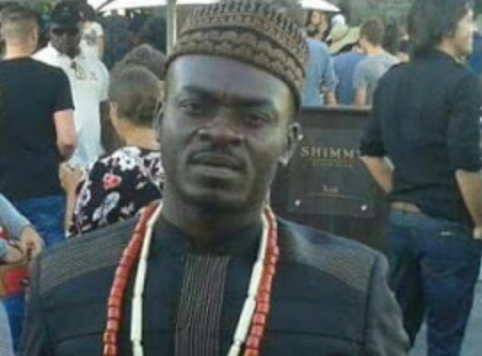 On Thursday, the Nigerian Union in South Africa that another Nigerian, Mr Uchenna Eloh, was killed in the Western Cape Province of that country. Kanayo Onwumelu, Chairman, Western Cape chapter of the union, told NAN on telephone from Cape Town that Eloh was strangled to death by South African policemen. NAN reported that Eloh hailed from Eziagu in Eziagu Local Government Area of Enugu State. “ We want to call the attention of Nigerian Government to the senseless killing of innocent Nigerians by the police in South Africa. At about 11.00 a.m. South African time on Wednesday, a Nigerian, Uchenna Emmanuel Eloh, popularly known as “Monkey’’, was killed by a South African police officer. He was walking out of his house toward the bus station when a police van stopped to search him, suspecting that he might be in possession of illegal substance. “Three policemen accosted Eloh, one of them, by the name Williams, held him on the neck suspecting that he swallowed a substance, while another police officer held him by the legs,’’ he said. The union official alleged that the policemen dragged Eloh on the ground until he started foaming and suffocated to death on the spot. “This is not the first time such senseless killing of innocent Nigerians was carried out by South African police officers. We have reported similar killings to the South African Government and Nigeria High Commission in South Africa and nothing was done to bring the culprits to book. Ikechukwu Anyene, President of Nigerian Union in South Africa, who also confirmed the incident, called for an end to the incessant killing of Nigerians in South Africa. “Our government needs to do something urgently to make it clear that Nigerian lives matter. We have made suggestions on what can be done, but it is now clear to us that the endless talks cannot yield any positive result,’’ Anyene said. He said that the union had engaged a lawyer to take up the case against South African Police Service. “But, this kind of legal service should form part of consular services to provide legal services to victimised Nigerians,’’ Anyene said. The union said that the police have opened an inquest into the case. NAN recalled that the Senior Special Assistant to the President on Foreign Affairs and Diaspora, Abike Dabiri-Erewa, had in February said that a total 116 Nigerians have been killed in South Africa through extrajudicial means in the last two years. What is it with this silence by Government when things are going from bad to worse? This victimization was observed some years past when these people under the pretext that Nigerians were using fake travel documents sent back a plane load of Nigerians travelling to their country. The past Administration returned the favour without wasting time and things normalized. Why should we stand and watch the resurrection of these hostilities? And, must Nigerians go there?if nothing can be done to curb the trend, then cut ties with them for respect must be mutual. Stay there and keep dying like insect. GOOD QUESTION..EVEN INDIA ,PAKISTAN ,LIBYA..I WONDER WHY ONE WOULD STAY WHERE HE/SHE IS NOT WELCOMED ANY LONGER..YEYE HIGH COMMISSIONERS AND AMBASSADORS WHO SIT AND DO NOTHING SHOULD BE RECALLED…EVEN HOW STUPID THAT NATION CAN BE ,FORGETTING SO EASILY THE PART WE PLAYED DURING THEIR APARTHEID (mandela)YEARS AND OPPRESSION FROM THE OYINBOS. Such require a thorough investigation from Independent Police investigation Department (IPID). Nigerian Union please refer matter to IPID in Cape Town.